1786 - entered Trinity College, Cambridge, intended for the church. 1793 - having taken an interest in medicine, graduated as MB at Cambridge where his thesis on ‘oxygen air imbibed by the blood’, signals the interests in life forces in terms of the new chemical theories of Lavoisier and others. 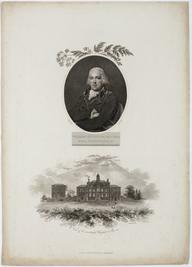 1796 - appointed lecturer on medical botany at Guy's and St Thomas's hospitals. 1797 - set up as a physician in London. 1805 - became an MD of the University of St Andrews. 1810 - A New Family Herbal published. 1812 - became a licentiate of the Royal College of Physicians.